Delivering the freshest, top trending Hen Dance Experiences! As seen in Instyle Magazine as the top cool hen party idea! Check our 5* reviews from past happy customers. 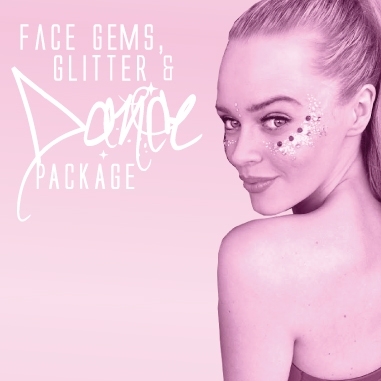 Dance Party Experience are the Dance Specialists, ​delivering​​ ​outrageously fun themed dance classes across the UK​ – perfect for a Hen or Birthday party. While many other​ Hen​ Party providers offer a whole variety of different ​hen party activities​. ​We ​focus solely ​on​ one thing, Dance. Our Dance Party Experience choreography is designed for all abilities, ages and genders! We have a whole catalogue of current and classic pop tunes to get your day buzzing and vibing. So whether you wanna whip your hair like Beyonce, Twerk like Rihanna or get Uptown Funky with Bruno Mars, we’ve got you ​covered! Plus, you get a FREE copy of your chosen themed music mash up, designed by us especially for you, so there really is something for everyone. To make ​the ​occasion extra special ​your package includes ​FREE themed accessories. From flashing light rings for our Beyonce babes, p​optastic ​f​ace ​g​ems to​ turn you into a 90’s mega​babe​ and​ ​long ​black gloves​ for all our Gatsby girls. Plus, many more to check out. We understand that a Hen party is one of the biggest days in a girl’s life and it is up to us to deliver their special moment perfectly​.​ When you’re booking your party, it’s important you get it right. And by right we mean you book your party with the company that knows their​ Charleston back-kick​ from their ​Dance Hall ​dutty wine. ​Our entire team knows their stuff! From our Personal Event Managers ​who handle your initial enquiry, to the Teachers who deliver our flawless parties. You can be confident that your party is always in the hands of a dance specialist. Why Should you book with DPE? Keep it stress free, your personal event manager will do the hard work for you. Secure your hen party today with just a small deposit for the whole group. Let one of our Dance Specialists make her Hen party, the party she never forgets! Here at Dance Party Experience we deliver the freshest, top trending, slickest dance and​ innovative​ Hen party ideas. We want you to be able to rant and rave about the totally original and unique experience you’ve had with us. Check out our exclusive packages below that we’ve created just for you. Our Beyonce Dance Experience is hands down our top trending Dance Experience! B, Bey, Queen B, Sasha Fierce, Yoncé, Mrs Carter. Only Super-Human Goddess Beyoncé is entitled to… well, so many titles. The 20 Grammy Award Winning Megastar, is what every woman aspires to be and her iconic performances and dance routines have become instant viral hits. That’s why we HAVE to offer a Beyonce Dance Party Experience. Throw your Bride a HEN PARTY to remember and learn Beyonce’s iconic slick B moves in a private dance studio. Just like Beyonce’s tours, these parties sell out fast! So book your female empowered, Beyonce booty-bouncing hen party now! Enquire Now.